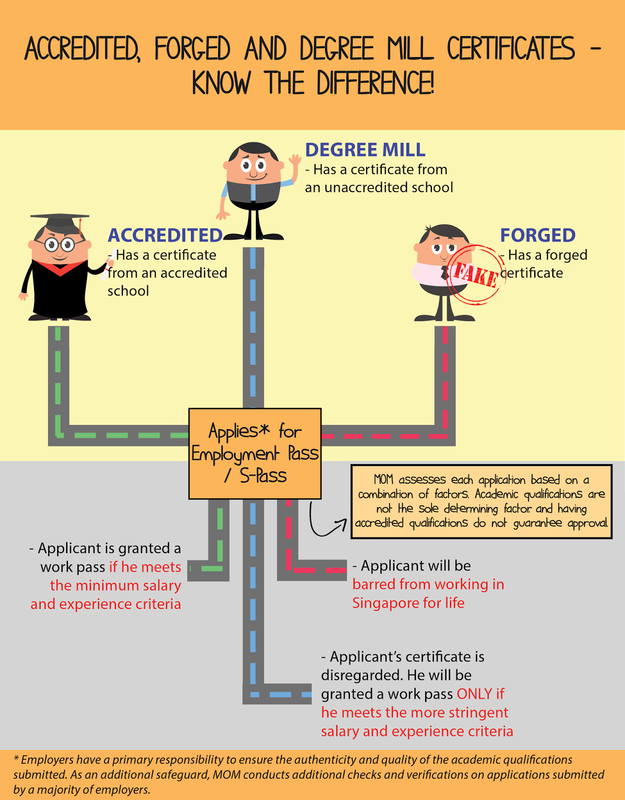 SINGAPORE: Employment Pass (EP) and S Pass applicants who are found to have submitted forged documents or false particulars when declaring their qualifications and working experience in a deliberate attempt to mislead the Ministry of Manpower (MOM) will be dealt with firmly, said Manpower Minister Lim Swee Say. They may be fined up to S$20,000, or jailed for up to two years, or both, and they will also be barred from working in Singapore, Mr Lim stated in a written parliamentary reply. He was responding to questions by Non-Constituency Member of Parliament Gerald Giam on the sort of checks the MOM conducts on academic qualifications and work experience declared in applications. Mr Lim said MOM conducts internal database checks, external checks through third-party screening agencies and direct verifications with issuing institutions to detect forged qualifications. The ministry also requires employers to present proof that they have verified that the submitted qualifications are genuine, Mr Lim added. Mr Lim said MOM assesses each EP and S Pass application based on a “combination of factors”, including qualifications, working experience and salary. “Employers have a primary responsibility to ensure the authenticity and quality of the academic qualifications of the foreigners they wish to hire,” he added. “As for qualifications obtained from an unaccredited institution that does not ensure that its students are properly qualified (commonly known as qualifications from “degree mills”), MOM conducts 100% checks and disregards these qualifications completely,” Mr Lim added.